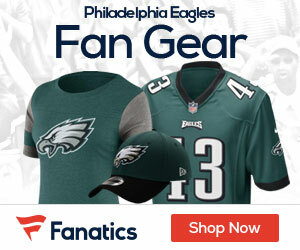 Can the Eagles Compete in the NFC East? Training camp is almost here and its time to take a look at the season ahead; particularly the competition in the NFC East. Several teams have made some key off-season additions. Let’s look at them team by team. The Dallas Cowboys didn’t go crazy this year, but did add two key players that could mean trouble for the rest of the NFC. (and maybe for the Cowboys themselves) They drafted RB Felix Jones in the first round, who looks to be a good complement to Marion Barber. (I hate to admit it, the dude is just a beast) We’ll see how he does in the NFL, but I would suspect that he will do fairly well, and will give Barber some rest; although I hope he doesn’t work out, and Barber is exhausted by the fourth quarter of every game. They also added troubled CB Adam “Pacman” Jones (I don’t care if he’s dropping the “Pacman,” its not going anywhere) We don’t even know if this guy is going to be able to play, although he probably will. Commissioner Roger Goodell temporarily lifted Jones’ suspension so that he could practice with the Cowboys, but he could still be suspended for the season. Again, I’m pretty confident he will be on the field. The good thing for Eagles fans is that Jones hasn’t played since 2006. We can hope he’s lost something in that time. I doubt it, but there’s always hope. With troubled players and draft picks, its always a risk. We’ll see if these players work out. If they do, the Cowboys could once again take the #1 seed in the NFC. They are the number one competition, not only for the Eagles, but the entire NFC. The Giants were relatively quiet this year as far as key acquisitions go. They did draft WR Mario Manningham, and S Kenny Phillips, but their off-season is more on what they lost. They lost three of their starters to free agency; S Gibril Wilson, LB Kawika Mitchell, and LB Reggie Torbor. The biggest loss to the Giants has to be the retirement of Michael Strahan. Strahan’s retirement was bitter sweet. As an Eagles’ fan I was glad to see him go. We won’t have to see that guy put McNabb on his back anymore. As a fan of the game, and an Eagles’ fan, I’m going to miss him. He’s a great guy (at least he’s going to be on Fox’s pregame show.) His battles with big Jon Runyan were great. I’m going to miss that feud. I would think with Giants’ fans, its going to be a wait-and-see mentality for the upcoming season. Which Manning will they get? 20 interceptions in a season, or the near perfect QB we saw during the playoffs? Can the defense repeat with all the losses? We’ll all find out soon enough. Dallas may be the biggest competition, but the Giants are the team to beat. Who knows what to think with this team? Hall of Fame coach Joe Gibbs retired from the game, again. Some say the game passed him by, and I have to agree. They made the playoffs twice, but also went 6-10 in 2004, and 5-11 in 2006. The Redskins made no huge splash in free-agency, seeing as how they were almost maxed out on their salary cap. They did have a fairly good draft though. They picked two big receivers in the draft in Malcolm Kelly and Devin Thomas. Thomas is a high risk-high reward pick. He came out after a very productive junior year, but was relatively quiet in his other two seasons. We’ll see how he turns out. Kelly was most noted for his complaining about the turf he ran his forty on during his pro-day. After switching to a different turf, he still didn’t do all that hot, but when it comes to playing the game, does it really matter was his pro-day forty time was? I don’t know what to really expect from the Redskins. Honestly I don’t expect much, and I see them bringing up the rear in a tough division. You would think after an 8-8 season it would be hard to get your hopes up. Not so for Philly fans. McNabb is back and healthy. We got little production from the tight ends, and you have to believe with L.J. Smith back to full health, and Brent Celek having a year under his belt, that this will change in 2008. The Eagles were not quiet during the off-season, especially on defense. I think they took it personally, and they should, that the Giants won a Super Bowl using their defensive scheme. The Eagles signed CB Asante Samuel, possibly the biggest name on the free agent market, and DE Chris Clemons, (a situational pass rusher for the Oakland Raiders), on the first and second day of free agency. Samuel has had 16 interceptions in his last two seasons. (The Eagles only had 11 last season as a defense) There are questions as to whether he was only productive because of New England’s system, or if he’s really just an outstanding playmaker. I’m going to have to go with the latter. I don’t care how good the system is, 16 interceptions in two seasons, 22 career, is just outstanding, and you have to be a special player to do that no matter what system you are in. Clemons only played about 35% of the snaps last season and was able to rack up 8.5 sacks. That’s pretty impressive in itself. You have to think he will be able to help our pass rush. There wasn’t anything too exciting about the draft. The Eagles traded out of the first round, again. They did draft WR/PR Desean Jackson and DT Trevor Laws. Jackson is an immediate boost for special teams, and looks to actually get on the field as a receiver. Laws lead the nation last year in most tackles for a loss. He should be a great help to our run defense, and will give Bunkley and Patterson some rest. Andy Reid was dealing with family issues last off-season. (his two sons were arrested on drug charges) You have to believe that was affecting him during the season. With this issue somewhat cleared up, Reid should be back to the great coach he has been for so many years here in Philadelphia. The outlook for this team is high, and to answer the question, the Eagles are able to compete within the division and the NFC. Our defense should be even better than last year. With added pressure on the QBs, we should see turnovers go way up. Our run defense is solid and should be a top ten again this season. Our offense should look more like it did in 2006. We came up short on the big plays (plays over 20 yards) last year, unlike 2006 when we were tied with Saints for first. Things look good for 2008 and the Eagles should be contenders, not only in the NFC East and the NFC, but throughout the NFL. I hope Dallas does not look as good on the field as they do on paper. 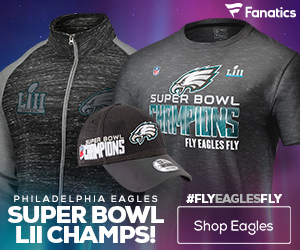 I think they can compete in NFC east but if they make the NFC Championship game(which there not) they are gonna lose 2 the New Orleans Saints you best belive that…i hate the eagles!!! !